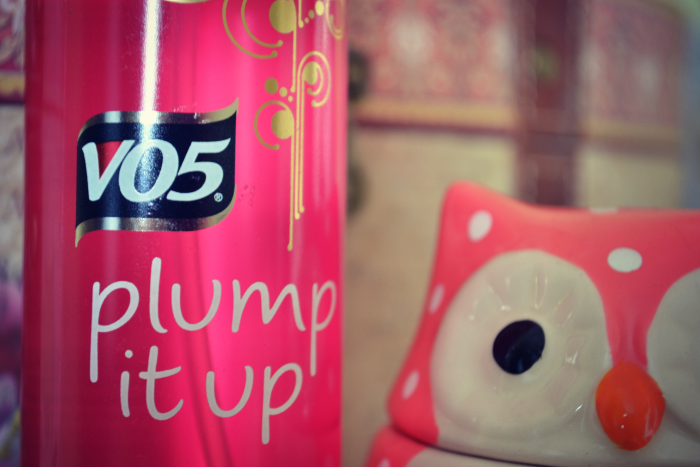 So it's time for another review, and this time it's VO5 Plump It Up Blow Dry Lotion. Having run out of my old Urban Fudge Sea Salt Spray (you can see the review here), I thought I'd give another volumising spray a go, and this is the one I chose... Urm, obviously. And in the spirit of a review I figured I'd share my thought on the product, as you do! So first up I'd like to point out that this product only cost £2.99 which is blinkin' brilliant and if I'm being honest, heavily influenced my choice. Hell, if it's good then happy days, it is a super cheap lovely little buy and if it's absolute pants, then just don't buy it again and my purse is only £2.99 down. You can't say fairer than that! I've been using this product everyday since I had it and absolutely love it. It really does seem to give my hair that extra bit of volume that it needs, and is far better than the Urban Fudge Sea Salt Spray. You spray onto damn hair, mainly at the roots and then just start drying as normal, easy as that. Given that my hair is getting longer and longer (it will tend to do that if you don't cut it), I was expecting the extra length to start dragging my hair down and make it start to look limp and quite frankly a bit thin and horrible, but this little product is certainly helping keep my locks all bouncy and thick looking. One of my favourite things about this product is the smell. Now, I'm aware that really the smell doesn't change the way it works, but it does mean that it makes me that little bit happier when I'm bleary eyed and half asleep in the morning trying to make myself and my hair look decent enough to leave the house and not scare the local children. Ok, so the smell may not be to everyone's taste and some people may think 'what are you talking about you crazy b*tch', but I just love it, it's quite nostaligic if you know what I mean. It reminds me of that classic old hair salon and perming solution smell, which sounds weird but I love it, I'm sure there are other people out there who's mother used to have one of those god awful perms that were all the rage back in the 80's... If your thinking no, then your mammy is either too young, to clever to have known better than to have done such a thing, or was just plain missing out. Thankfully the perm seems to have not made a come back, and please, little baby Jesus, let it never find the light of day again. 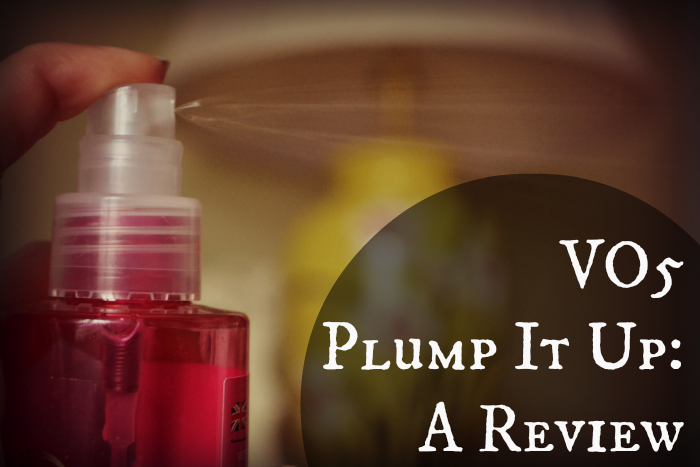 Ok, where was I, oh yes, sniffing the top of my Plump it Up spray... JOKING. 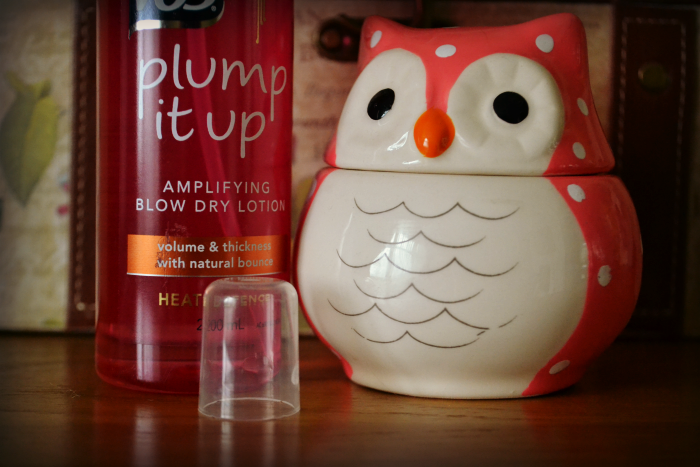 In all serious I really do love this product, it's cheap and cheerful and does the job (well! ), so I'm very happy with it.